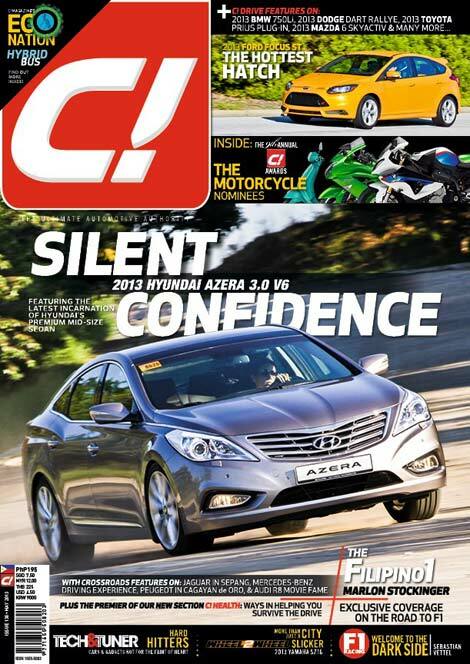 Pick up May 2013 Issue of C! Magazine....the automotive authority. 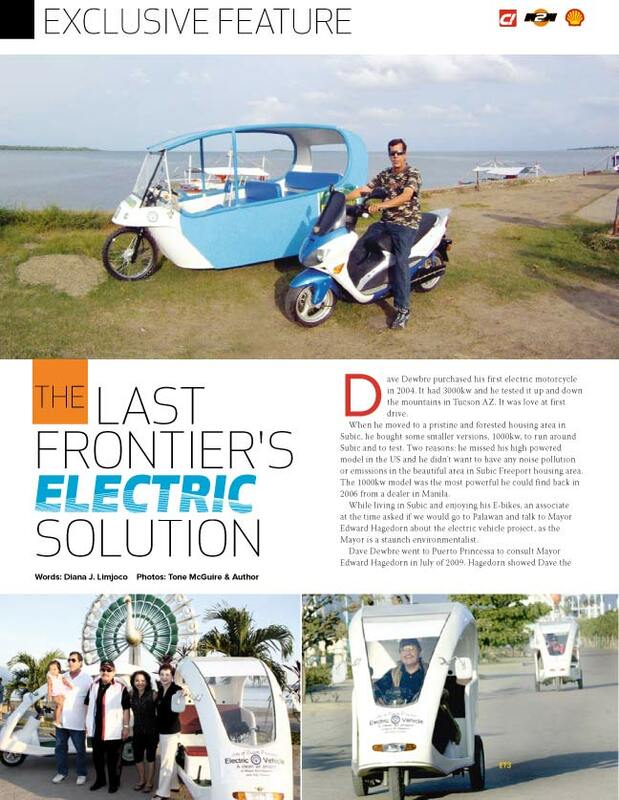 Dave Dewbre's (Electric vehicle consultant) electric tricycle project is the Exclusive feature. 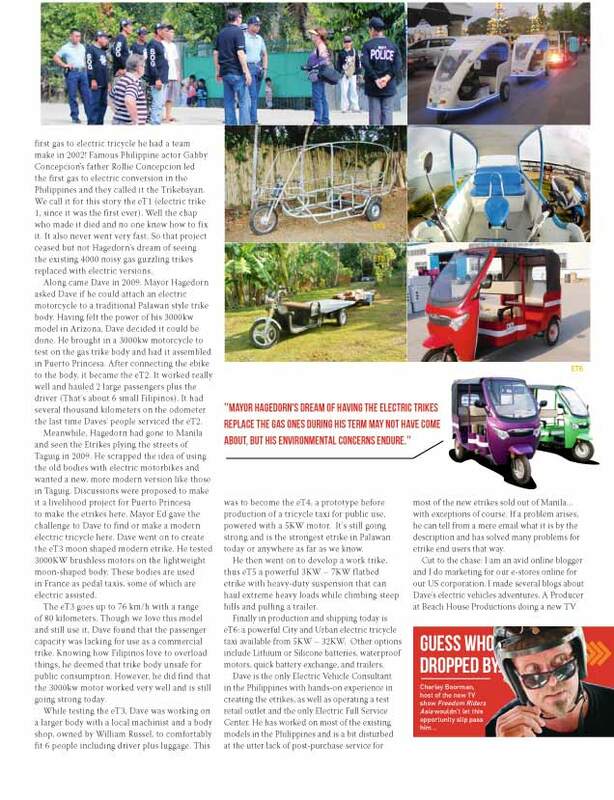 It's showcasing Mayor Edward Hagedorn's pioneering etrike projects for clean air since 2006 and how Dave took Hagedorn's lead and developed 6 different prototypes for different terrains and load. 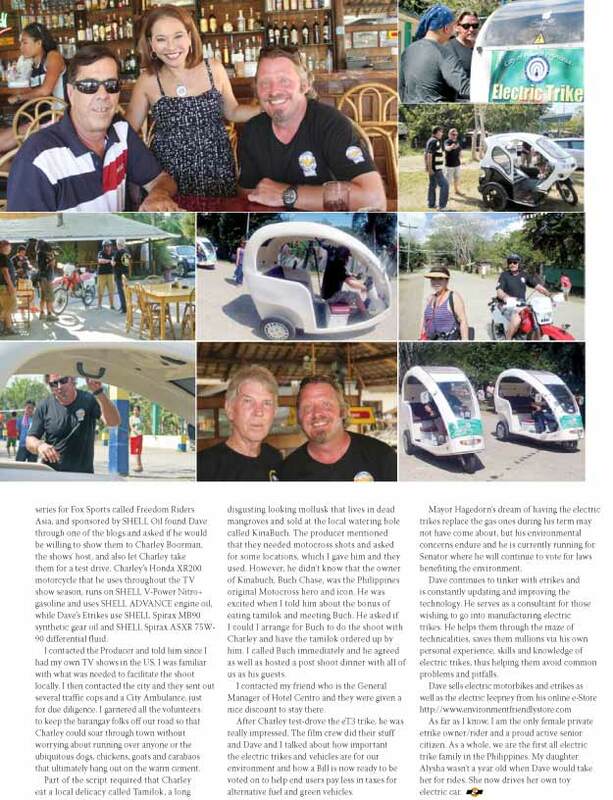 Extra plus is that Charley Boorman of Freedom Riders Asia Dropped in to check out the electric trikes and had a blast driving the eT3 half moon shaped version. Pick up May issue of C! Magazine, the automotive authority to read the rest of the story! There are 4 more pages of story and photos. 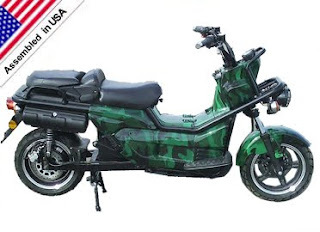 Fight rising gas prices with an electric scooter and look ever so cool while you're doing it! The highest performance for any electric bike in its class. Featuring a new design, dual stator motor, dual controllers, and more battery for more hill climbing power, speed and range over any other competing bike near the price. It comes in two speeds and many other colors. But this e-scooter is for the gals! 1/2 THE PRICE OF THE HONDA EV NEO!! Why should us gals miss out on an electric scooter? For a limited time they are giving away a set of DWG waterproof audio speaker kits that also come with a 150 watt mini amp (not waterproof) and an exclusive mini remote volume/kill switch controller! The Zev2400 gives the highest performance for any bike in its class. Featuring a new design, dual stator motor, dual controllers, and more battery for more hill climbing power, speed and range over any other competing bike near the price. There is a 120 day waiting period while they build your e-bike/scooter, so order it in time for the good weather. Of course, those fortunate enough to live in warmer climates don't need to worry about driving in snow, so order yours now. 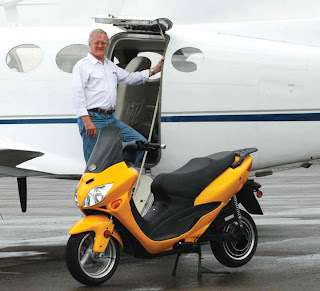 Created out of a love for sport bike racing and a frustration with what was available on the market for electric motor scooters, DH Zehrbach founded Z Electric Vehicle Corporation (ZEV). Having distributed a wide array of electric scooters over the last four years, Zehrbach has watched business grow as demand for electric vehicles has drastically increased. Now ZEV, based out of Morgantown, W.Va., is distributing electric vehicles worldwide. Zehrbach’s passion for sport bike racing and longtime love of motorcycles led him to focus on building a better electric scooter that handled like the bikes on which he had spent so many years. After starting with distributing in Europe, ZEV began stateside distribution in 2009. ZEV also recently opened a manufacturing shop in Vietnam to help support the increased demand for its product in Asia and now also distributes to Australia. Zehrbach hopes that more American dealers will sign on to sell ZEV products considering the amount of success the company has had dealing with customers directly. He sees ZEV doing well for any dealership. However, Zehrbach hopes that trend will change with the increasing demand for electric vehicles in the marketplace. “One thing you see is that the dealers that have a lot of variety are doing a lot better than the ones that do not have a big variety. So what we’re seeing is no depth of market in one particular category,” Zehrbach said. With that in mind, ZEV offers a broad product line over a wide array of price ranges, with bikes retailing as low as $3,800 and as high as $8,800. “We offer a lot of different models, though I will say that 75 percent of the sales are in the top two priced models,” he said. High performance modelIn addition to offering a wide range of products, Zehrbach mentioned a few other ways ZEV separates itself from its competition. The ZEV5000 uses new advances in lead battery technology to perform with a top speed of 62 mph and a range of 50 miles on open roads. It has an MSRP of $4,545. 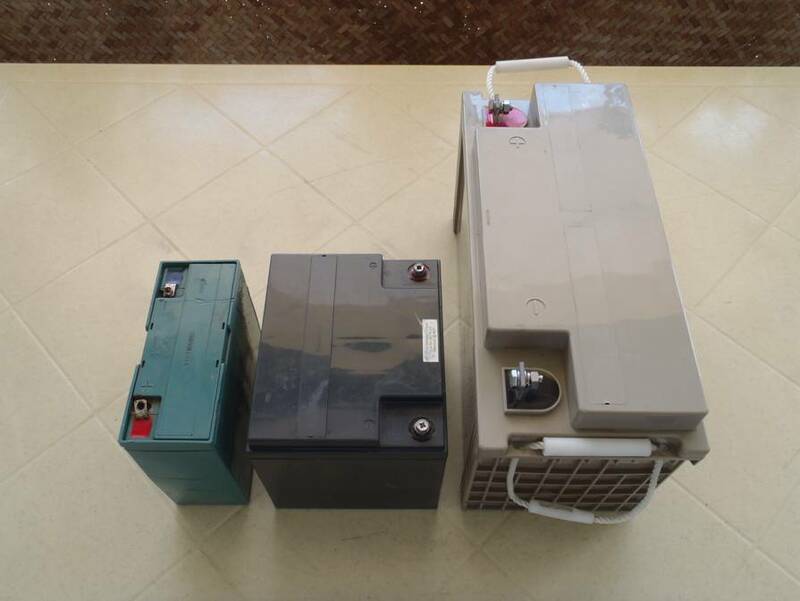 Zev 5000 advanced lead acid battery. Zehrbach also pointed out the ever-evolving clientele looking for electric scooters includes new faces that would be welcome at any dealership. This new potential customer base is very affluent, Zehrbach said. Every time the company has raised its prices, the most expensive bikes become the new best sellers. There’s also a residual effect in attracting these new-age riders. ZEV is offering 30 percent margins and granting dealers sampler or test programs to give the product a try in the showroom. Zerhbach also said he will expand into electric bicycles by the end of May and hopes to have electric motorcycles on the market by 2013.
other vehicles in the company lineup. With increased demand, a growing product line and an evolving customer base, Zehrbach believes carrying electric vehicles will increase traffic at most dealerships. Sales increaseBusiness is on the upswing for ZEV in 2012. By the end of the first quarter, orders by dealers and distributors had exceeded all previous year-over-year growth by four times. More than 50 percent of the brand’s new buyers do not bring motorcycle riding experience with them; instead, they come from riding electric bicycles. As electric bicycles have sold in numbers vastly larger than any motorcycle volume worldwide, owners are moving up to the next level of performance. 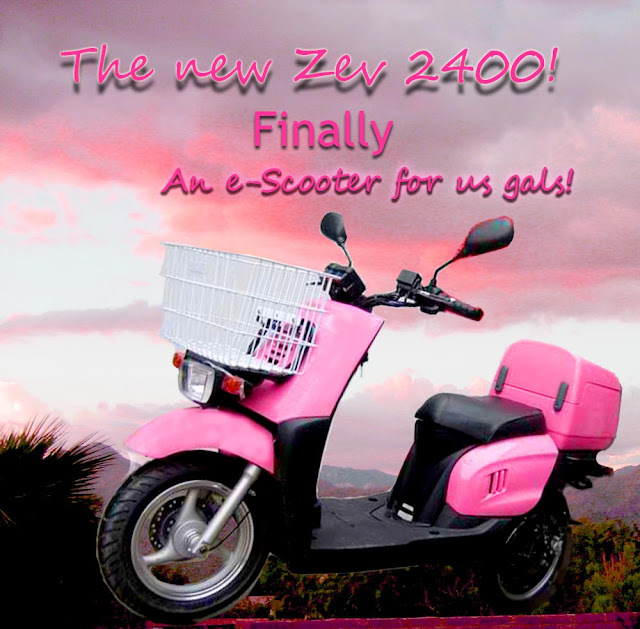 This is a really cool video a customer sent in who had purchased a Zev 7100 electric motor bike. He did the install and then filmed the discovery process to see how they worked! 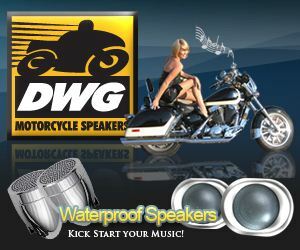 This is a great testimonial and review for DWG waterproof motorcycle audio speaker kit with mini amp and wireless remote! IE: 500 cycles before they began to lose a lot of their power. That means 500 times charging. The fact is, that always using only 50% or less of your batteries capacity before charging again, will greatly extend its life. Conversely, using 80, 90 and 100% of the capacity will greatly reduce the number of cycles possible. You should never discharge a lead acid battery lower than 80% of its capacity (20% charge left in the battery). An SLA battery is generally rated at 300 cycles. This is an average. With better care and discipline, you can get more than 300 cycles from an SLA battery. Perhaps as many as 800, Of course, if you abuse the battery, it is likely that you will get less than 300 cycles from your battery! SLA batteries also love to be charged on a regular basis and leaving a battery in a very low state of charge for any period of time will do irreversible damage to the battery. SLA batteries that are fully charged may be stored up to six months with very little detrimental effect. But to keep them at optimum condition, charge your scooter battery pack often, after every use if 50% or below capacity is realized. If you are storing your EV for long periods of time, make sure your batteries are fully charged before doing so. If you will be away from your EV for more than six months or storing it for that period over a winter, make sure you or someone else charges the batteries before the mentioned six month period is up. Batteries and freezing - It is also important to remember that a fully charged SLA battery will not freeze until the temperature drops below -92F, while a battery with a 40% charge will freeze at about -16F. Physical Maintenance - An SLA battery is virtually maintenance free in terms of adding water or electrolyte (acid). You should never open it in an attempt to fill or repair it. 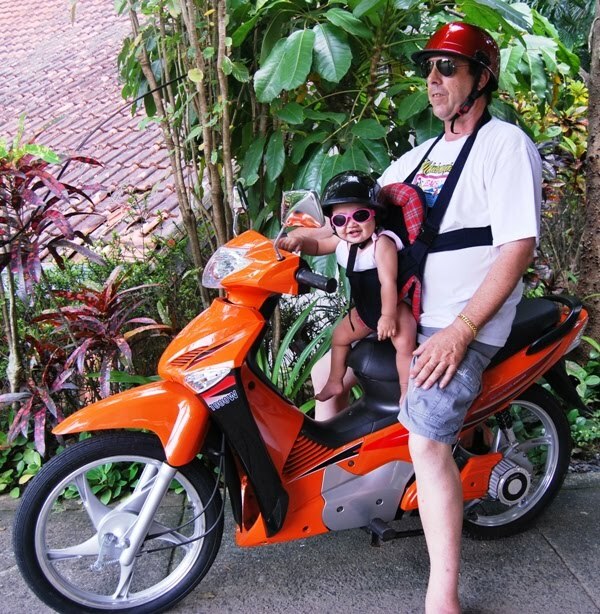 Dave has been driving electric motorbikes going on 4 years now. Three of the 1000 watt models have over 9000 kilometers on their odometer and we have only had to change the batteries just recently. Caring for and riding electric motorbikes! 1. If you use the bike daily, charge it daily. You cannot over charge the units, the charger shuts off when complete. 2. Never use the battery pack to ZERO so that you have to walk the bike home, draining the batteries to zero reduces battery life. 3. A low tire can cost you a lot of distance, make sure tires are always filled to spec and not low. 4. When climbing a long hill, do not carry another rider or a heavy load. 5. Before a hill if there is a downgrade, speed up to the speed limit so as to help your upward momentum. 6. Once a month check all visible bolts and screws they may need tightening. 7. Obtain same canned “fix a flat” carry it with you in case of a flat tire you can fix it on the spot. 8. Check the oil and change it once every year, the oil in the drive gear, not motor. Have technician show you how. It takes 3 drops. 9. Keep the entire bike, wheels and all surfaced except the seat waxed to help preserve the finish, especially here in the tropics. 10. Use Armoral or similar for the seat cover. 11. Always use the CENTER stand when the side stand is not as safe. 12. Use slow, steady, even and smooth acceleration to increase your driving distance. Environment Friendly Online store received an order for a ZEV5100 Trail and long range Utility electricbike. It is the world's first street legal electric trail and dirt road motor scooter! It can take to the pavement and serve as a commuter bike. The lead time on production is normally 90 days. Shortly after the order was placed the man wrote an email politely asking if they could speed up the production since he was diagnosed with a fatal liver disease and he may not even have 90 days to live! His only wish is to be able to ride and enjoy the E-trail/utility bike as much as he can before he dies! Here is the text from the email...the part with him dying was added only as a P.S! "As to what color I would like. The Camo is what I choose. Ps I would would like it if your team could put together one for myself sooner than 90 days as I have been diagnosed with I rare type of Liver cancer called hamagioendothemaloma. Say that three times fast Ha! So I may have (months) to enjoy it. Thank you for what ever you can do for me. Best regards, P" (real name kept private to respect his privacy). It turns out that this hamagioendothemaloma cancer, is the eighth most common cause of cancer deaths in men. 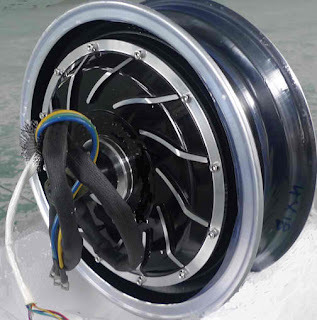 Two seconds after the staff got the email, the factory wrote back and said they would pull parts of their own personal E-bikes and have the other parts flown in by airfreight ASAP so the man can get it as soon as possible. Everyone is working fast and furious to make this last wish come true for him. Will keep you posted as this develops. As as update to this story, when the bike was made in record time, they tried for 3 days in deliver it and he wasn't around. Dave felt so bad, he was actually depressed, he was so worried that the customer had passed away before he could get the bike. Well he finally responded to an email saying he was out of town, and he has indeed gotten his wish. They e-trail bike has been delivered. Buy an electric motorcycle online. 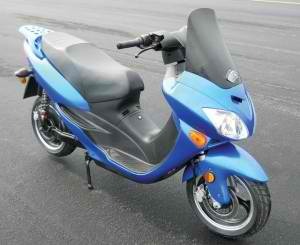 Save on gas with an electric motorbike! Great for the environment too! 12 volt audio kits with mini amp and remote controler. Gas Powered Motorcycles pollute more than autos! Gas powered motorcycles and scooters emit more pollutants than cars. Switch to an electric motorcycle, bike or scooter today!